is how the Daily Telegraph described Alan Davie in his recent obituary. He has also been referred to as Scotland’s greatest contemporary artist. It was a chance encounter with Peggy Guggenheim the renowned art collector, bohemian and socialite, that launched his career. And we’re delighted to be showing Davie’s exuberant Moon Maiden II at the 20/21 International Art Fair (15-18 May, Royal College of Art, London SW7). Davie saw his role as a shaman or inspired soothsayer. Painted in unexpectedly bright, clear, jewel-like colours (they are usually more muted) this large (55cms x 76cms) picture dates from the 1960s, his most sought after period. 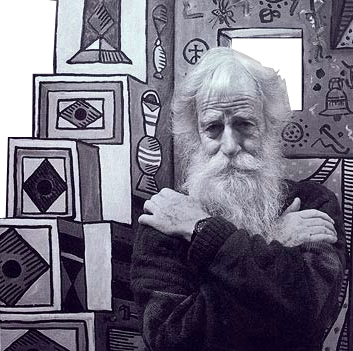 Alan Davie was a man of many interests, all of which influenced him. He had been a professional jazz musician; he spent long periods in the Caribbean; he was fascinated by African and Pacific art as well as prehistoric cultures and Zen Buddhism, mythology, magic and village folklore, all of which he assimilated and blended into his highly individual and often explosive work. 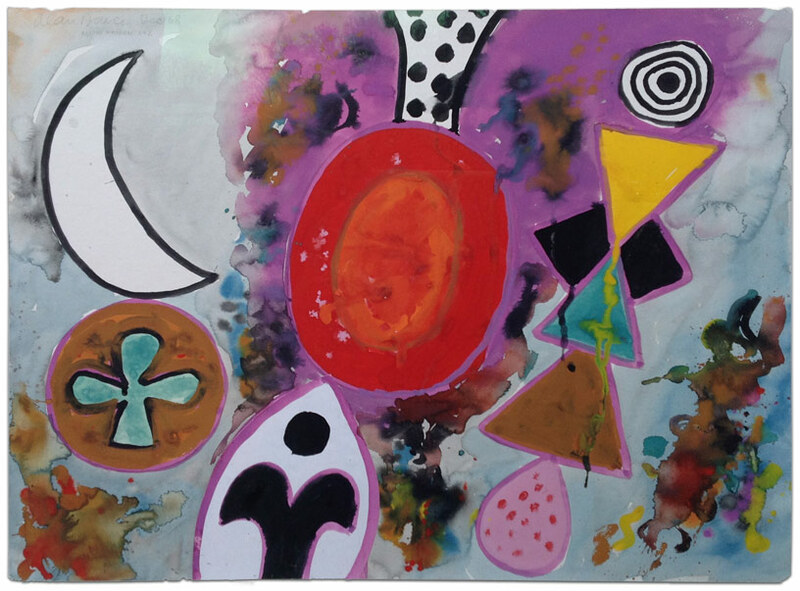 Tate Britain is currently highlighting the work of Alan Davie tracing his development over the last 60 years.